I know I am a day late in posting the winner of the Progresso Souper You Giveaway (winner announced at the bottom of this post). And I know I am a day behind in my week of oatmeal recipes; but sometimes that’s just how the cookie crumbles! And speaking of cookies, I couldn’t do oatmeal week without sharing an oatmeal cookie recipe. I mean we all know the health benefits of oatmeal and what a great breakfast it is. And on Monday I showed you how you can even replace the bread crumbs in recipes with oatmeal. But it is no hidden secret that everyone’s favorite way to enjoy oatmeal is in the cookie form (wink, wink)! I love me a good oatmeal raisin cookie. I love the chewy texture and plump raisins. And my childhood cookie crush was Little Debbie oatmeal cream pies. And when I decided I was going to do oatmeal week (and of course have an oatmeal cookie recipe) I wanted to make either oatmeal raisin or try a recipe I found that is supposed to be a homemade knock off of that dreamy oatmeal cream pie. However, I got too busy and the day I had a quick moment to make some oatmeal cookies I didn’t have time to go to the store and make either of those. 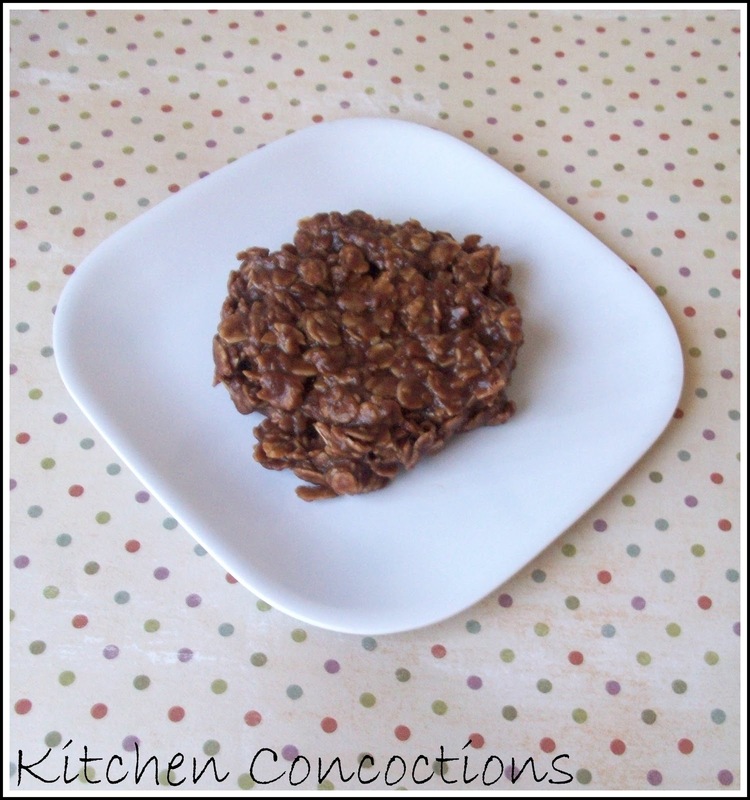 What I did have time for and had all the ingredients on hand were these No Bake Oatmeal Cookies. These are a classic and also stem from my childhood. 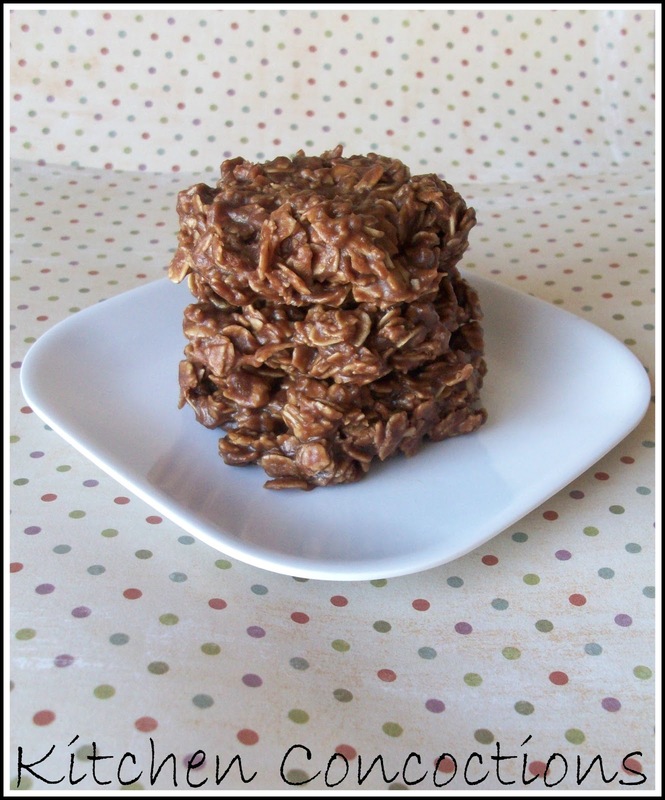 These No Bake Cookies were the first cookies I ever made all by myself! They literally only take a few minutes and use pantry staples. 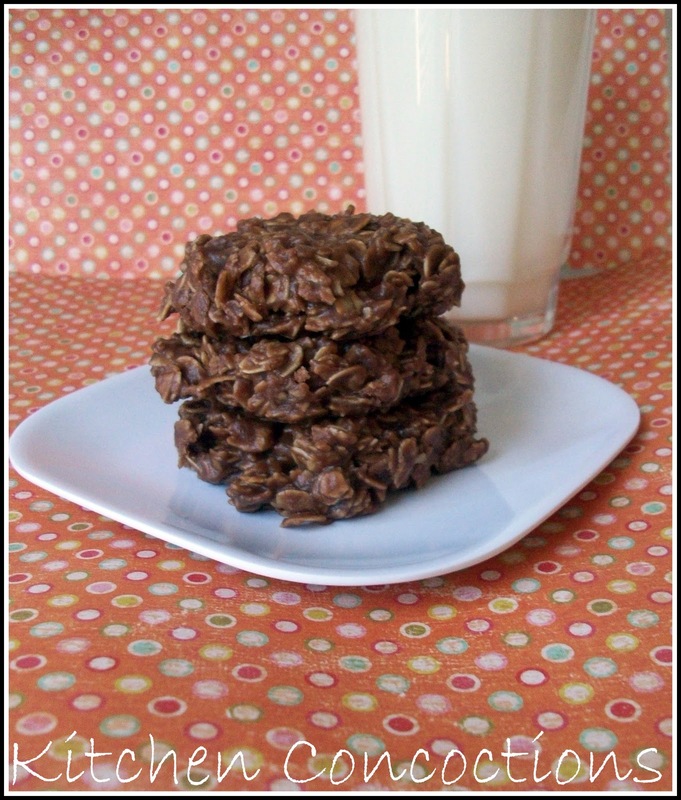 I have seen similar recipes for these cookies all over the place over the years but the version below is my tried and true recipe that comes from making these for (cough, cough) 15 plus years! The chocolaty peanut buttery goodness of these cookies and the fact they are so quick and easy (an use pantry staples) mean you can have cookies whenever the mood strikes! Bring butter, sugar, milk, and cocoa to a boil for one minute. Boiling for one full minute is essential to make sure the cookies set up properly. Remove from heat. Add peanut butter, vanilla, and oats. Stir well and drop spoonfuls onto waxed paper or parchment paper. Let them set up and cool, about 20 minutes. My favorite is the split pea with ham. Karin please email me at kitchen_concoctions at hotmail dot com with your mailing address. Congrats Karin and thanks to all who entered!